hobielang: Her personal or her musician page??? Link would be hugely appreciated! nicole-placco: Oh, um, music page. nicole-placco: https://www.facebook.com/marcigeller She is live here now instead. hannah-s-wilder: Sound is very low. Can hear you are talking but not clearly understanding words...can you up the volume. Ok, piano is loud, vocals ok. Talking is low. starflwr5: Sally from BEDFORD PA checking in. starflwr5 bought reward: "Digital download of Open Book"
Charles Nolan bought reward: "Digital download of Open Book"
Charles Nolan: Singing sound fine, Talking is low. karen-marrolli: Just caught the last song. Good stuff! roriekelly: BYE GODDESS GOOD SET!!! 10 minute phone call from me! She is on a mission to connect, and on a trajectory that seems unstoppable. Since returning to solo status in 2012, she released the full-length CD Open Book, which reached #33 on the Folk-DJ Charts and was named one of the Top 100 Albums of 2012 on the Roots Music Report: Folk Chart. Her impending release, Square Peg, was successfully funded at a whopping 130% on Kickstarter and further bolstered when the backers started posting “selfies” of themselves with the CD. The #ImASquarePegToo campaign is approaching critical mass and has created a stir on social media. Credentials include being named an “Editor’s Choice” in 2010 as one of the top songwriters of the last decade by Independent Songwriter Magazine. She has performed on Live! with Regis, Good Day NY and Fox Morning Show, and her music can be heard in soundtracks on MTV, VH-1, PBS, ABC Family, A&E, Discovery Channel, USA Network and others. She also toured for two years as the support act and back-up vocalist for legendary guitarist Ritchie Blackmore’s Folk-Renaissance band Blackmore’s Night, where she performed her stirring solo sets for 10,000+ people every night. Having shared the stage with luminaries Christine Lavin, James Maddock and Vance Gilbert, both Maddock and Gilbert made guest appearances on Open Book. Geller’s new album Square Peg features duets with renowned musicians Lori Lieberman and David Buskin, as well as guest appearances from Mya Byrne, Barbara Kessler, Brian Dunne (Hall & Oates), Craig Akin and Jon Preddice (Miles to Dayton). 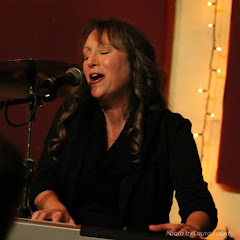 Marci Geller brings to every performance not only her strong musicianship and vocal excellence—she also fills every venue she plays with the kind of heartfelt truth and soulful introspection that inspires her audiences to seek those same inner qualities within themselves. Combining elements of Jazz, Classical, Americana, Folk and Pop, this is one singer-songwriter who continually defies being categorized into any one easily-defined genre or style. Nearing three remarkable decades of recording and touring, Marci Geller has embraced her diverse and often eclectic sound, and joyfully celebrates the uniqueness of herself and her audience.